More heavy weather is forecast for today. Riders also are reminded to Ride Right by keeping on the right side of the trail, operating at a safe speed, driving sober and anticipating trail groomers. For more information on the Ride Right safety campaign, visit Michigan.gov/RideRight. For information on the latest trail closures or re-openings visit Michigan.gov/DNRClosures. 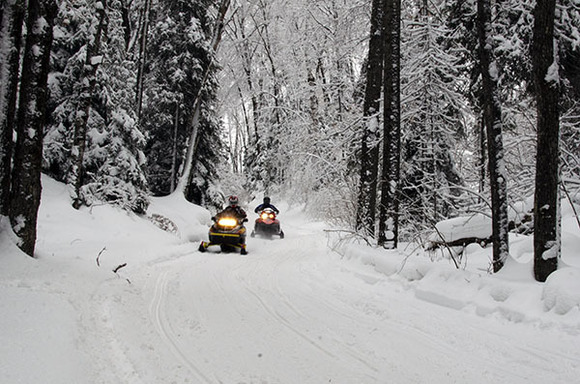 For more information on snowmobiling in Michigan, visit the DNR’s webpage at: Michigan.gov/Snowmobiling. 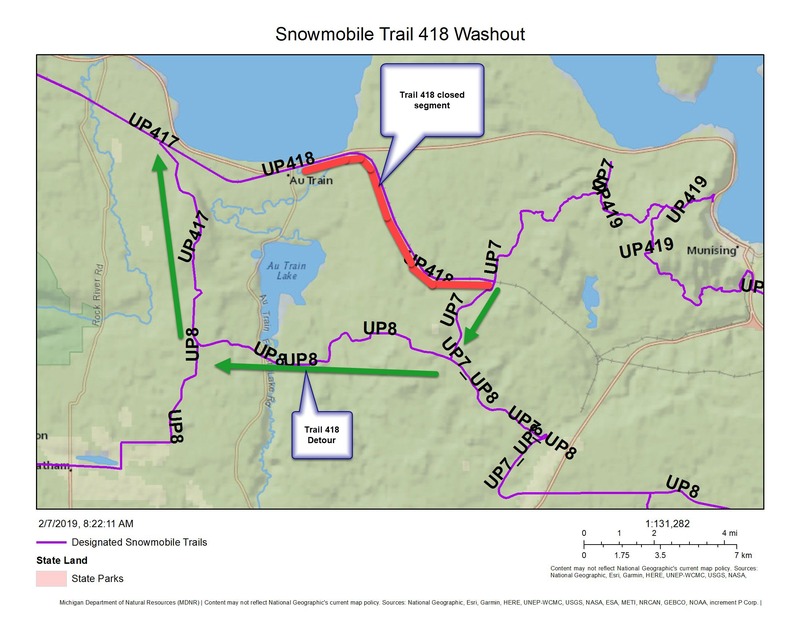 Map: A map showing the section of Trail No. 418 that is temporarily closed due to washout. Riders: Snowmobilers enjoy a beautiful ride Wednesday afternoon through snow and ice-covered scenery along Trail No. 8 in Marquette County. 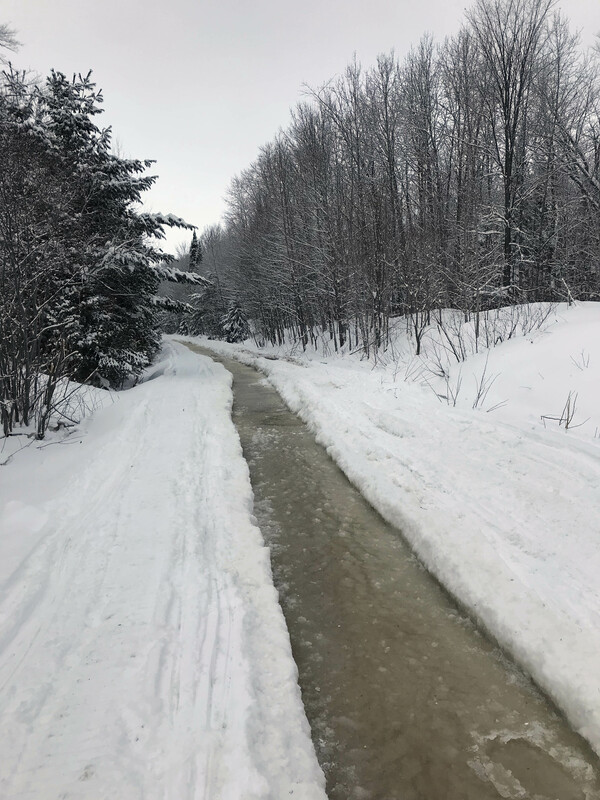 Trail: The water-covered section of Trail No. 418 is shown in Alger County, east of AuTrain.